We offer a number of different OH&S approved first aid and CPR courses including standard and emergency first aid. These courses are offered at the lowest prices in Calgary at both of our training centres. Classes are available on the weekend and throughout the week. 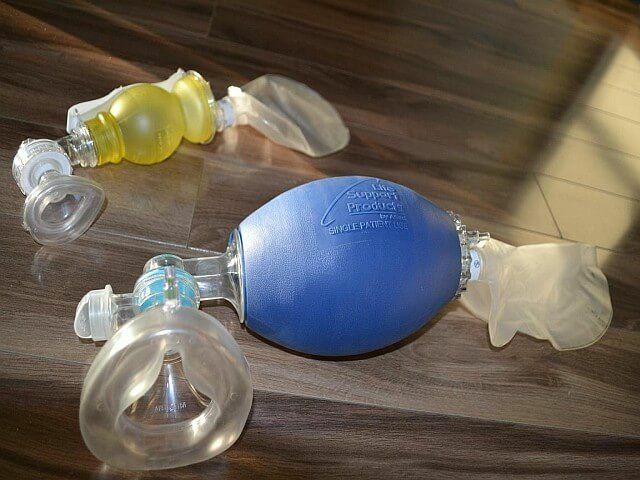 We offer a number of cardiopulmonary resuscitation (CPR) and automated external defibrillator (AED) courses. These courses are offered with or without first aid training. Learn the latest ILCOR standards in CPR and choking rescues. Courses start at prices as low as 54.99. Private infant CPR classes are also available. Is your first aid and / or CPR certificate expiring? Do you need to have current certification at your workplace? Register for one of our re-certification courses to learn the latest standards and to keep your award up to date. Our re-certification courses are offered throughout the week. We offer a number of safety courses including transportation of dangerous goods (TDG), workplace hazardous material information system (WHMIS) and Enform H2S Alive courses for individuals that work in the oil and gas industry. This 8 hour course is offered multiple times per week. Certification meets workplace requirements. Some safety courses are available on-line. Register today. We proudly offer our courses in two training centres in Calgary. 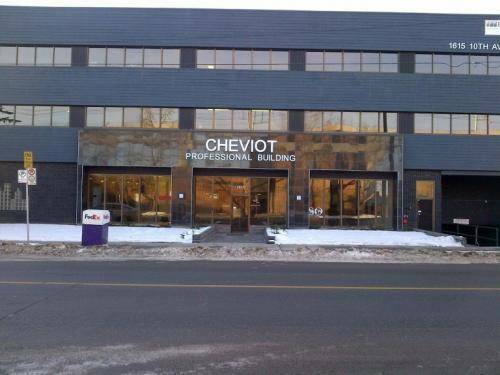 One of our training centres is located northwest of down-town Calgary and our other location serves southeast Calgary. All of our courses are available at both training locations. We offer Heart and Stroke Foundation Basic Life Support (BLS) courses for individual that work in the healthcare industry. 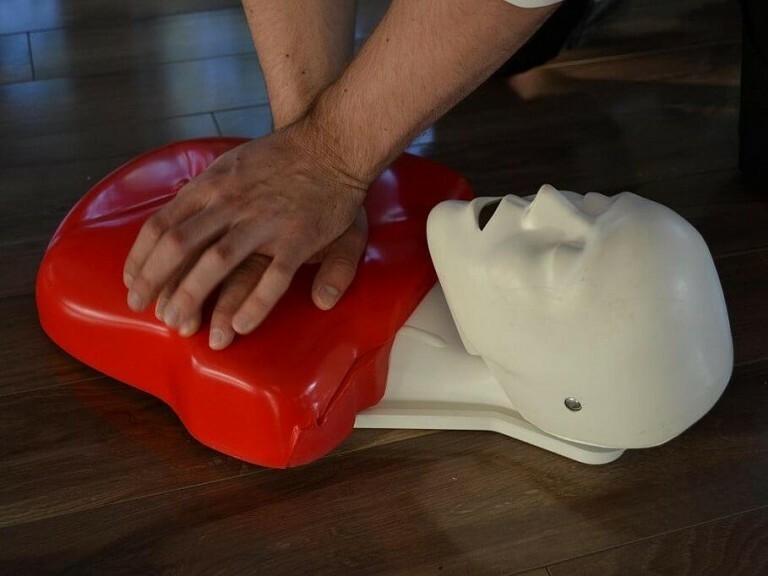 This 4.5 hour course teaches basis CPR rescue techniques, how to use and AED and management of life threatening emergencies such as choking and cardiac arrest. Welcome to Calgary First Aid! 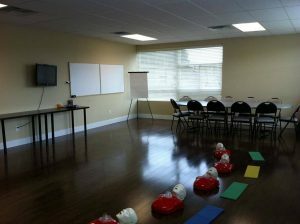 We are experienced Alberta OH&S workplace approved providers that offer a number of first aid and CPR courses. We also offer food safety certifications programs and on-line safety training. 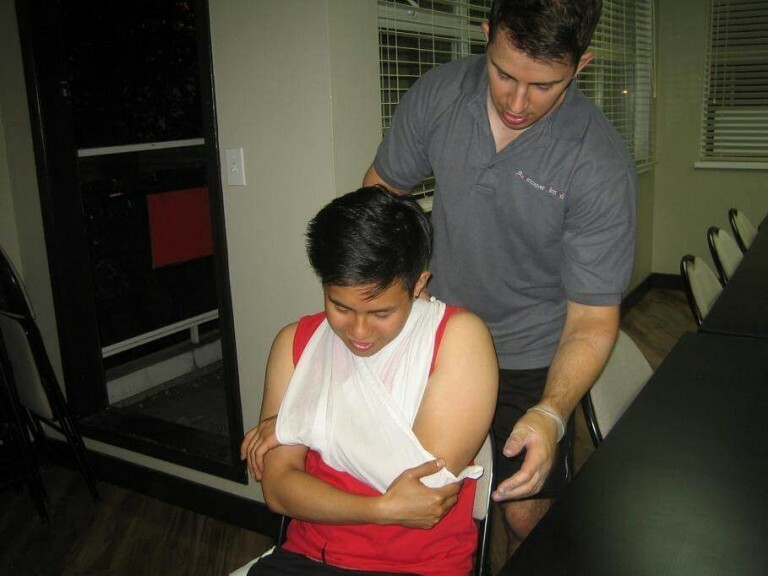 We proudly offer a wide range of first aid courses and CPR courses throughout Calgary at the lowest prices and in comfortable and convenient locations. We promote a no-pressure training policy that allows candidates to re-take courses if they do not complete the course the first time. We also offer workplace approved re-certification classes for participants needing to renew awards. We offer easy registration for all of our courses. Register on-line, in person, via email, telephone or via our on-line chat option. We also specialize in private classes for groups of any size. 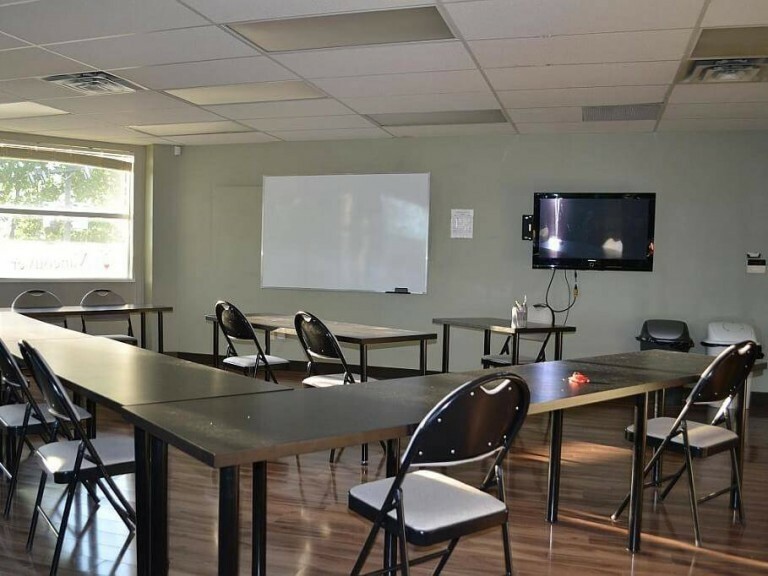 We can bring the class to you or you can have a private course at one of our training centres located throughout Calgary. With first aid and CPR training candidates will become part of the chain of survival. Candidates will learn the most up to date CPR training as recommended by the International Liaison Committee on Resuscitation (ILCOR). We use the latest equipment and have the highest equipment to candidate ratio to make sure you learn as efficiently as possible. We have dedicated teachers that teach in a variety of different methods to make the course fun, entertaining and informative. To see a full list of courses click here. Need a quick summary of our courses? Click the “Find a Course” link below. All of our workplace approved classes include training and certification in automated external defibrillators (AED’s). AED’s significantly increase the chances of survival for victims of cardiac arrest and AED training now comes mandatory with any St Mark James safety course. Upon successful completion of any St Mark James first aid or CPR course through Calgary First Aid candidates will receive an award that is valid for 3 years. We proudly offer workplace approved re-certification courses for participants that want to renew expiring award. To see if you meet the renewal requirements visit our re-certification pages. We understand the importance of being certified so we rarely cancel a course (less than 1% of courses in 2011 were cancelled / rescheduled). We are experienced first aid and CPR providers with training locations throughout Canada. 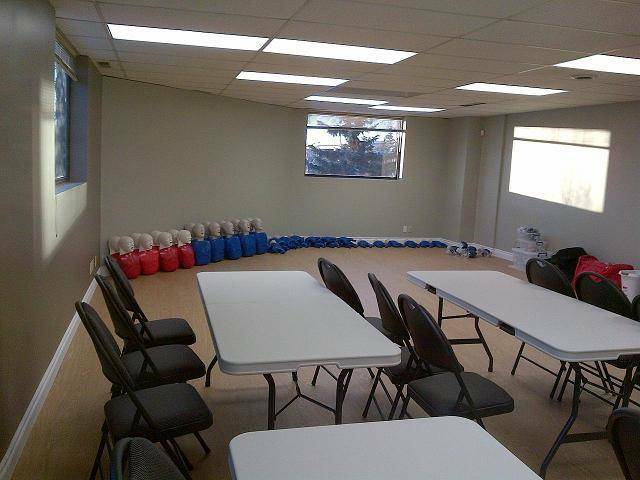 We proudly offer private classes where you can schedule a private course at our training location or have a Calgary First Aid instructor come to you. We are happy to help get you certified. If you have any questions or concerns about any course we offer please call or email. Our email address is info@firstaidcalgary.ca and our phone number is 587-774-5317. Learn to save a life and take a Calgary First Aid or safety course with us. Participants enrolled in Calgary First Aid training programs will learn about breathing, circulatory and airway emergencies. Topics include recognizing and managing heart attacks, angina, stroke and transient ischemic attacks. Individuals enrolled in extended, two day classes will learn about sudden medical emergencies and environmental emergencies such as hypothermia and heat stroke. Learn to be prepared for any emergency by taking a St Mark James course today. Be prepared for managing emergencies at work that involve hazardous materials. Canadians that work with hazardous materials in the workplace are required to receive workplace hazardous material information system (WHMIS) training. This training includes a strong understanding of how to manage materials in the workplace and what to do with MSDS (material safety data sheets). We provide this course in an on-line format or in our classes. Register today to get certified. Do you work in an environment that includes handling, serving, preparing or storing food? You may need to be certified in Food Safety. Our food safe certification courses meet Alberta Health requirements. We offer these courses in class and on-line. Get certified and register today. Do you have a question? Not sure what class to register for? Ask us a question and we will respond via email, telephone or even through our on-line chat. We will respond to your question via on-line chat within seconds and our email within one business hour. We also have friendly customer service representatives that can answer any question or book you into a course.